>CURVY CONVERSATIONS: IS THE BMI CHART RACIST? I was reading my November issue of Essence and was intrigued by an article titled “The Other Big O.” The article investigated whether or not the BMI chart was accurate for African American women in determining obesity or is it only accurate for white women. So, I thought it would be a good topic to discuss here with you. These are just excerpts from the article that really raised my eyebrows. Read on and let’s discuss. Did you know that a BMI of 30 or higher puts you in the obese category and that 42% of black women are considered obese? 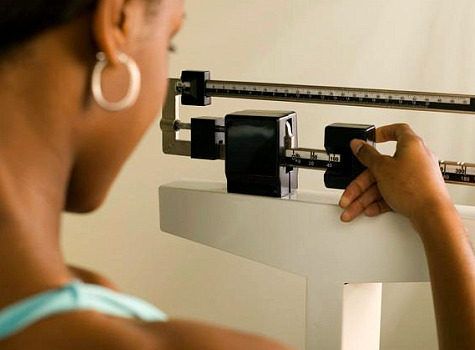 Your BMI number is what doctors use to determine if you’re overweight or obese. More and more black women today are finding that they are falling into the obese category and are boggled as to why. Director of the Behavioral Medicine in Houston, Texas John Foreyt, Ph. D says, “BMI was developed to define obesity, primarily based on Caucasian populations, because at that time we didn’t have good data on racial and ethnic minorities.” According to Essence, Dr. Foreyt did a study in which they analyzed body fat composition with low dose x-rays (a standard way to check if someone is obese). They compared the results with the participants BMI . The result was that black women have 2 percent less body fat than Caucasian women of the same height and weight. Dr. Foreyt goes on to say that a BMI of 30 is accurate for white women based when determining obesity, but, based on body fat a black woman is not obese until she reaches a BMI of 32. He further claims that the reasoning for this difference is that black women tend to have denser , heavier bones and muscles that increase their weight and BMI. When determining if someone is obese there are a number of things to take into account. You must look at body fat percentage, waist circumference, and where a person carries most of their weight. The BMI is a useful tool, but, these other factors should be included in determining whether or not a person is obese. If you want to calculate your BMI you can go to the National Heart and Lung Institute to find out if your BMI. Do you think the BMI takes into account your natural body structure? Should there be different BMI’s for every race not just African Americans or Caucasians?